Digitome provides totally volumetric X-ray exams. No slices - No gaps - No interpolation - No database. Eight angled X-rays required for complete exam. 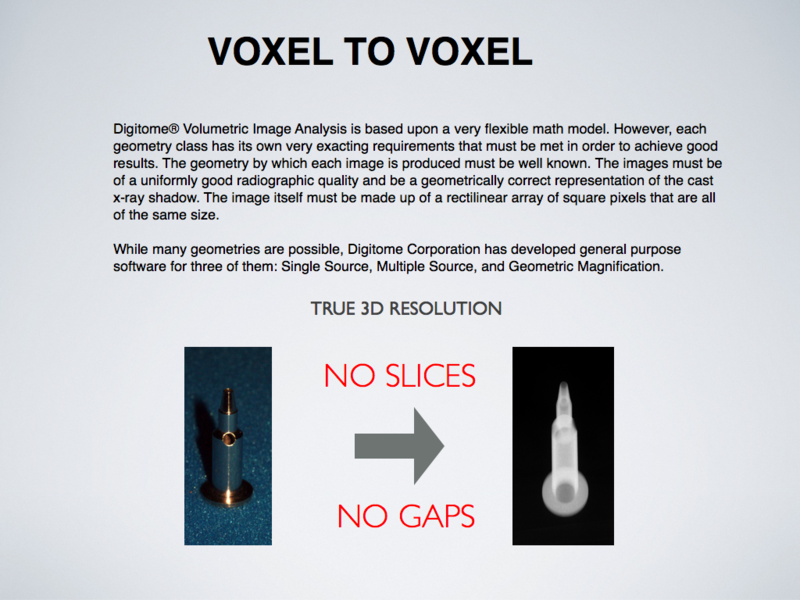 Digitome provides the perfect input for 3D printing, Virtual Reality and Holography. Database is not required so Digitome provides immediate input data for all exams. In the spine below, the X-ray images are taken front to back. However, the movie is top to bottom, showing vertebrae gap. Below is an exam of a geode. ​Viewing can be contiguous along any axis.